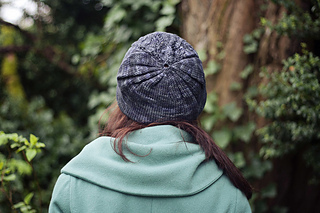 Inspired by Shel Silverstein’s “Where the Sidewalk Ends,” this slightly slouchy hat features a panel of lacey flowers. It’s worked from the bottom up and has just the right amount of difficulty to keep you interested without being too complex (sort of like Shel’s poems). This hat is the perfect accessory to complete your ensemble year round!